Poor stability of GPCRs in detergent has been a key limitation in obtaining well-diffracting crystals of GPCRs and, indeed, other membrane proteins. In order to prevent the protein from irreversibly forming a stable nonnative conformation outside the membrane bilayer, which may lead to complete denaturation and aggregation, the protein must be thermodynamically stable in a functionally relevant conformation. In the case of GPCRs, such conformations include the spectrum from the inactive ground state R through to the fully active R* or R* bound to its G protein (R*G). It is now clear that receptors can occupy more than one active R* state, and this results in agonist-directed trafficking of the receptor to specific signaling pathways . To obtain crystals of GPCRs, this conformational flexibility must be reduced such that the receptor is trapped in a single conformational state. The simplest way to accomplish this is by the addition of compounds that bind only to particular receptor conformations - 188] - This alone, however, has not been sufficient to enable crystallization. An alternative approach is to identify stabilizing mutations, which can strengthen the interactions in the correctly folded form of the protein, thus slowing inactivation . The use of thermostabilizing mutations in membrane proteins was first demonstrated for two bacterial proteins, diacylglycerol kinase (DGK) and bacteriorhodopsin [190, 191] - Thermostabilizing mutations in membrane proteins are surprisingly common and can be identified by random or systematic mutagenesis. It appears that around 5-10% of random mutants will increase the stability of a membrane protein. In comparison, very few mutants can be found that stabilize soluble proteins. This suggests that membrane proteins have not evolved to be stable, perhaps because this would reduce the flexibility required for protein function or negatively impact protein folding, membrane insertion, or turnover . The melting point of a protein can be used as a measure of thermostability. Melting point curves can be constructed by heating the protein and measuring the extent of unfolding with techniques such as circular dichroism or by differential scanning calorimetry. Alternatively, there are a number of fluorescent dyes that can detect protein unfolding by, for example, binding to exposed cysteine residues . There are two main problems in using such techniques for constructing thermostability curves of GPCRs. First, these methods require pure protein samples, and, in many cases, GPCRs are too unstable to purify. Second, none of these methods takes into account the requirement for the protein to retain its native pharmacology. An important breakthrough in this area was the combination of measuring thermostability in conjunction with radioligand binding on detergent-solubilized receptors to determine at what temperature a GPCR would lose its ability to bind ligand . This method also had the advantage of identifying mutations that directly affected ligand binding or pharmacology. Such mutations would be undesirable in a crystal structure of a receptor, in particular, if it was to be used for structure-based analysis of ligand binding and drug design (Fig. 14.6). Figure 14.6 Thermostability of purified GPCRs and their StaRs. (a) Rhodopsin thermostability; (b) comparison of the stability of the turkey P1AR (circles, dashed) and the stabilized turkey p1AR(squares, solid) (m23) ; (c) comparison of the stability of the adenosine A2a receptor (circles, dashed) and the stabilized agonist A2a receptor Rag23 (squares, solid); (d) comparison of the stability of the adenosine A.a receptor (circles, dashed) and the stabilized antagonist A2a receptor Rant21 (squares, solid) . rhodopsin to be crystallized . Many other receptors are extremely unstable in detergent and must be kept at <5°C to retain activity. Thus far, it is not apparent from the sequence of the receptor what causes this wide range in thermostability, and so it remains impossible to predict the stability of any individual receptor. Indeed, very closely related receptors may have widely divergent stabilities. For example, the apparent Tm of the turkey p1AR receptor is about 20°C higher than that of human P1AR (Dr. C. Tate, pers. comm.). A complete alanine-scanning mutagenesis of a GPCR will identify approximately 20 mutations that are thermostabilizing. However, each of these alone will not provide sufficient stabilization necessary to enable crystallization. Stabilizing mutations must be combined to give the maximum effect, both in terms of thermostabilization and conformational stabilization. In addition, although alanine substitutions may be tried initially, other amino acid replacements may increase stability even further. The possible number of combinations to be selected from 20 stabilizing mutations is therefore very high. So far, the optimal combinations are reached through trial and error, although in the future, a suitable random mutagenesis method may be developed to identify stable mutant receptors. Alternatively, as our knowledge and understanding of the rules that govern stabilization of receptors increase, we may be able to rationally select individual residues or networks of residues within the receptor sequence that will lead to stabilization. The first non-rhodopsin GPCR to be engineered to include thermostabiliz-ing mutants for the purposes of crystallography was the turkey p1AR . The most stable mutant identified (p1AR-m23) contained six-point mutations and resulted in an apparent Tm 21 °C higher than the native protein. In the presence of the antagonist alprenolol, this receptor was as stable as bovine rhodopsin, giving researchers some degree of confidence that crystallization would be achievable. Thermostability measurements were coupled with an antagonist [3H]-dihydroalprenolol binding assay. Following an alanine scan, 18 residues were identified, which increased stability while maintaining antagonist binding. Each of these was mutated to alternative amino acids, of which five improved stability further. During the recombination process, a number of mutations proved to be additive in their stabilizing properties. The final set of mutations that were selected was Arg68Ser, Met90Val, Tyr227Ala, Ala282Leu, Phe327Ala, and Phe338Met . GPCRs that have been engineered in this way have been called "StaRs" or "stabilised receptors," and are now being utilized for crystallography and structure-based drug discovery (http://www.heptares.com). Pharmacological characterization of the p1AR StaR known as pAR-m23 indicated that the receptor had been stabilized in the antagonist R state, since the receptor showed no difference in antagonist binding affinity compared to the native receptor but had a significantly reduced affinity for agonists. Expression of the p1AR StaR in a stable cell line demonstrated that the receptor, unlike its wild-type counterpart, showed no basal activity, presumably due to its inability to form R* in the absence of ligand . Although in the absence of ligand, the p1AR StaR receptor preferred the R state, upon addition of sufficient concentrations of agonist, the receptor could couple to G proteins and increase cAMP to the same level as wild-type receptor. This ability to trap the receptor in a specific conformation during the stabilization process is also a considerable advantage in the production of diffraction quality crystals. The identification of thermostabilizing mutants allowed expression and purification of large quantities of p1AR StaR using either E. coli or baculovirus expression. Once purified, the receptor remained stable and functional in a wide range of detergents including short-chain detergents, such as OG, LDAO, and nonyl-glucoside (NG), which are useful in crystallizing membrane proteins. Stabilization of the p1AR receptor in this way enabled the generation of crystals in which the receptor was bound to the high-affinity ligand cyanopin-dolol in octyl-thioglucoside, which gave excellent diffraction to 2.7 A, resulting in the first structure of the p1AR . This important structure is described in more detail below. The approach of thermostabilizing mutations has also been used to stabilize the adenosine A.a receptor  . 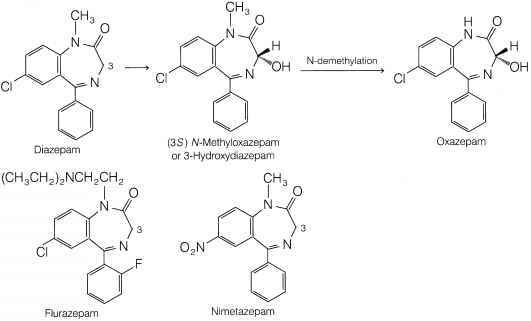 In this case, the receptor was stabilized in both agonist and antagonist conformations by carrying out the mutagenesis selection process using either the antagonist p H]-ZM241385 or the agonist [3H]-5'-^.ethylcarboxamidoadenosine (NECA). Interestingly, a different set of stabilizing mutations was identified in the agonist assay compared to the antagonist assay. Recombination of the most stabilizing mutants resulted in the generation of the antagonist StaR Rant21, containing four mutations, which was stabilized by 17°C compared to the wild^ype receptor, and the agonist StaR Rag23, containing five mutations, which was stabilized by 9°C. In radioligand binding studies, the adenosine A2a- stabilized receptor Rant21 bound antagonists with similar affinity to the wild-type receptor, but agonist affinity was dramatically reduced, consistent with the receptor being stabilized in an antagonist conformation. Radioligand binding studies of Rag23 showed that the agonist- s tabilized adenosine A2 a receptor had a slightly increased affinity for agonists and a weaker affinity for antagonists when compared to the wild - type receptor. The mechanism by which mutations are able to confer stabilization on GPCRs is not clear. In the case of p1AR StaR, it was clear from the comparison of the p1AR and p2AR structures that there were no obvious changes resulting from the mutagenesis. Thermostabilizing mutations can be found in all areas of the receptor, including the transmembrane domains, N-terminal and C^erminal domains, as well as in the intracellular and extracellular loops. Those in the transmembrane domains may help to stabilize intrahelical interactions or, alternatively, for those mutations that appear to be outward facing, may alter the protein/lipid interface. Mutations within the transmembrane domains may also be involved in altering the equilibrium between the active and inactive forms, and as a result, confer conformational stabilization. Several stabilizing mutations are located at the ends of the helices, which may be a site of initiation for unfolding. A number of studies have suggested that GPCRs behave as two-domain proteins consisting of TM1-5 and TM6-7 since truncated receptors containing TM1-5 can generate functional receptors when coexpressed with their corresponding C-terminal portion [193-195]. The loop between these domains (IC3) represents a flexible region, which may be the site of initiating receptor unfolding. Stabilization or masking of this area by mutagenesis, antibody binding, or formation of a fusion protein may all act in a similar manner, to reduce unfolding in this region of the receptor.